We landed at noon on a Friday, ready to engulf ourselves in the culture of the liberal, hipster town of Portland. Home of beer, wine, a thriving food scene and plenty of outdoor activity. And we only had 72 hours in Portland. The weekend we landed in early May was the first sunshine-y day after many dreary, rainy weekends so everyone took to the streets and parks like a flash flood. The city was bumpin’. Behold a photo gallery of fave wines from my afternoon spent at the 2015 Taste of Sonoma, part of the Sonoma Wine Country Weekend. A storied and epic wine event hosted by MacMurray Ranch in the heart of Sonoma County’s Russian River Valley, it’s impossible to try all the wines poured. Most of these recommended wines hail from the Russian River Valley or Sonoma Valley tents where I spent the bulk of my time exploring. And explore I did! Found a few new wineries (or, at least, new to me) that are killing it: Attune Wines, Canihan Wines, Talisman Wines and Viluko Vineyards. And reminisced with old flames like Inman Family Wines, Three Sticks Wines and Dunstan Wines. These boutique bottles won’t be at a store down the street, but on a website near your mouse or finger. Taste of Sonoma is by far the premier tasting festival of the season and is very well organized. If you haven’t had the pleasure, put it on your bucket list. As someone who has been in the wine trade for many years, I’m privy to plenty of special experiences… wine dinners, library tastings, chef-prepared lunches, etc. Most of the time, these sweet gigs aren’t accessible to the general public. Which I’ve always thought a frickin’ shame. Why shouldn’t a winery provide as much fun to the evangelists who sing praises through social media as much as the guy who recommends the wine at a shop? But that’s how the game is played. At least for now. Exclusivity isn’t the case at Franciscan Estate Winery in Napa Valley. I recently had a friend visit Sonoma County who just isn’t a fan of dry wines. Unsuccessfully exhausting all conversion tactics, I hunted down a few wineries who have a great dessert wine. But they were spread out all over the County. And who has time to drive to all those places for just one wine? 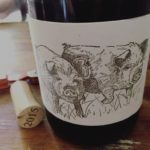 So I dug a little deeper and found a veritable hive of the sweetest wines Sonoma County has to offer: Family Wineries of Dry Creek. Off the picturesque main road which winds through Dry Creek Valley in northern Sonoma County, you can miss the turn pretty easily if you’re not watching (or already tipsy). But climb the hill to this compound of small, family-owned wineries and you’ll think you’ve arrived at a place undiscovered by the crowds. It largely is. J Vineyards and Winery in Sonoma County’s Russian River Valley is pretty well known throughout the U.S. They’re one of the few domestically-produced (and family-owned) sparkling wine houses. Founded in 1986 by Judy Jordan, the ebullient sister of John Jordan at Jordan Winery, she has led this company to huge success, starting with sparkling wine but has recently expanded into producing stellar Pinot Gris, Pinot Noir and Chardonnay. Every now and then internet travel sites splash some really intriguing vacation packages up on my screen. And every now and then, like a big game fish, we bite. So when Living Social tossed out a trip for two to Rarotonga, Cook Islands… Sorry, where, you just asked? The Cook Islands are a Polynesian island chain in the South Pacific, kind of like an English-speaking Tahiti, with clear lagoons and beautiful reefs surrounding the island. And Rarotonga, the largest of the islands, is home of the Maitai, a freighter that went down on the reef on Christmas Day, 1916, carrying Model-T cars from San Francisco. So if you like tropical vacations on tiny islands populated by the Maori (who swear they’ve given up cannibalism) then put this rock on your must-see list. But I’ll share some of my insights with you first so you really can have the tropical paradise you’ll be dreaming about. As California wine country degenerates into adult Disneyland — and the number of rich guys’ “vanity” wineries sprout up like a conga line at a wedding — it’s becoming more difficult to uncover the “good” places. The places that 99% of the people ask me about. Visitors have over 700 wineries in Sonoma County and Napa Valley alone to choose from, all vying for their attention with tours, cheese pairings, beautiful vineyards, and sometimes even tasty wine. So how does a wine lover separate the wheat from the crap? I’m going to cough up the goods. I’ve been living in Sonoma County since March 2011 and get to trek out pretty often to discover new places in both Sonoma and Napa. And I’m not jaded or bored yet, so am uniquely qualified to give advice. My blog will now become a “travel” destination at least once per month so you can check it out when you’ve plane tickets in hand and a vacation in northern California wine country to plan.